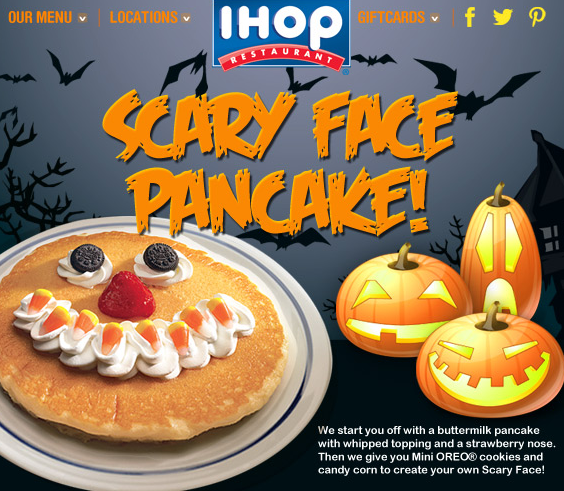 Mark your calendar and SAVE the date.... On October 31st, take the kids to iHop where they can enjoy a FREE Scary Face Pancake. I am not sure about you, but Halloween night at our house is WILD. So, this will be a NICE treat before headed out to trick or treat.